While the surplus of available opportunities may be a major advantage for passive candidates with professional backgrounds in high demand, it is painful for companies who are hiring. Organizations all over the country are feeling the burden of talent scarcity, and are constantly competing for the same pool. 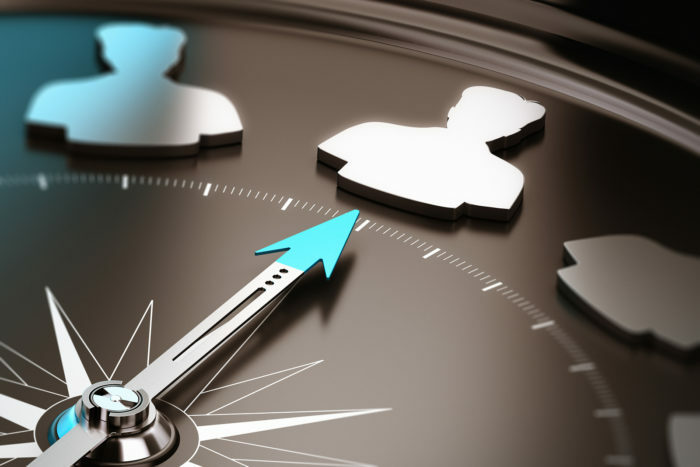 To even get on candidates’ radar, you must make the process about them. The reality is, if a candidate rejects your offer, everything else you do assessing the candidate technically or culturally is all for nothing. Use some of these strategies to improve the relationships built with candidates, your employment brand, and your company’s offer acceptance ratio in no time. Treat your candidates like customers. ​We talk about this a lot, but let’s talk about what it looks like in action.​ ​Start the process off warmly and seek to understand their motivating factors first (compensation, career growth, mission). If an initial phone screen goes well, invite them in for coffee or lunch and get to know them before diving into assessing them. Respect their time by being prompt for calls and interviews. Train your hiring managers to do the same. Your head of sales wouldn’t wander into a prospect meeting 15 minute late. The same rule applies for interviewing! Simplify the process. ​Passive candidates have very limited time to invest in new opportunities and will also have less motivation to move through a drawn-out interview process, especially compared to an active candidate. Removing barriers and extra steps will increase your ability to hire top talent. Train every interviewer in your company. ​All it takes is for one unprepared interviewer to sour candidate experience. At a minimum, have a open role kickoff meeting to make sure everyone on the interview panel understands the open role overall and most importantly, their role in the interview process. Kickoff meetings help prevent the same question being asked repeatedly, which is one of the fastest ways to turn a candidate off. Focus on shared values just as much as qualifications. ​Shared core values and culture are among some of the highest priorities of job seekers (usually a close second to career progression). Become the obvious choice to candidates by showcasing your culture early in the process, starting by ensuring there is alignment from both sides. Make interviews conversational. ​Rather than having every single interview be behavioral questions, break the mold a bit and also be conversational. A simple question as a follow up like “What ideas would you add to our recent project about ‘X?’” can go a long way. This change in flow gives candidates a break from the traditional interview questions and gives them the opportunity to brainstorm ideas they have about current projects, processes, and things that they could bring to the table in the role. Make the role worth their while. ​It’s more likely that your offer will have some sticking power if it offers a growth opportunity to take on new responsibilities. When you initially meet with your hiring manager to discuss the candidate profile, consider identifying rising stars for the opening rather than those who it would be a more lateral move for. Invest in a digital candidate experience. A candidate’s first impression of a company is no longer usually an in person interview or a phone call, it is visiting a website. Use this as an opportunity to create a positive impression and glimpse into culture before. Go beyond having a basic career page and showcase videos illustrating “a day in the life.” This will help candidates feel more connected and also prepared. Use candidate assessments sparingly. ​Do not overwhelm candidates too early in the interview process with projects, coding challenges, or other homework assignments. The timing is key, and mid to later stages in the interview process is the time, as it will ensure that both parties are both mutually invested. Jumping right into requiring a coding challenge before a candidate even speaks to a hiring manager is a best practice no-no. Ditch email and pick up your phone. ​This really makes a difference to candidates, especially when you may be delivering less than ideal news, like when the team moved forward with another candidate for a role. The courtesy of providing feedback in realtime, not email is something that is unfortunately often overlooked in today’s digital age. Measure your failures and successes. ​You simply cannot improve what you do not measure. Begin implementing candidate experience surveys and track NPS scores to get a real gauge of how you are doing. The best time to send these are usually after their first onsite interview prior to any news about next steps have been provided to the candidate to avoid receiving any biased results.